After ten years in business and at a time when daily headlines speak of businesses closing their doors, Synergy is growing and expanding across the globe. To keep up with the expanding Team Member base, we have found the need to bring on additional highly qualified employees to offer you the support you need to build your business. This means, that after only a year in our current facility, we have outgrown our available space and we will be moving to a brand new office! 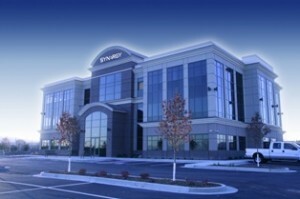 This move is a reflection of Synergy’s growth and bright future. We will occupy the majority of the three-story, Synergy branded building and the layout will include multiple conference rooms, a large, expanded store displaying all of Synergy’s great products, and an elaborate presentation room. It will be more than simply a larger corporate headquarters; the building will serve as a place for Team Members to put their businesses into action.